Dude! Which is A and which is B?? I like the ICOM 7300 or the Elecraft KX3. I just want it mostly for SSB. In your survey who won? I need to get an antenna I want put by the roof. First of all, congratulations on passing your Technician exam! You’ll find the General exam pretty easy to pass–it does unlock the whole HF world. If you’re looking for a rig to keep at home and occasionally take outdoors, I would lean toward the Icom IC-7300. It’s such a full-featured rig and has 100 watts output right out of the box. If you’re looking for a radio to primarily take into the field, or take on travels, then the KX3 would be the best option. It also makes for a great home/base station, but to achieve anything more than 12 watts output power, you’ll need to add an external linear amplifier (the KXPA100). The amp is a pricey option–without an antenna tuner, it’ll set you back about $800. If you add the internal ATU to the KXPA100, it’ll make the total price around $1150. That would make for a pricey 100W transceiver. It’ll really a question about what you want to do with the rig. If it’s for home? 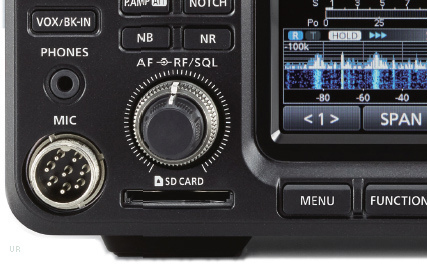 Again, I’d encourage you to check out the IC-7300. Thanks. I will get the 7300. The elecraft after all the options is very expensive.